Our parcel dispatch and tracking software (Whirlpool) is quick and easy to use. It calculates your freight shipping costs and will then track and trace your freight automatically. In addition, it will also allow you to compare costing between freight carriers, readily handling all types of freight movement. Your booking can then be made within the costing screen without duplicating data entry. Whirlpool will exchange information with your existing software, simplifying your communications with internal and external agencies. Optional accounting modules put you in control of your finances. Compare freight carrier costs and save! Whirlpool includes RatingWizard, a freight calculator that gives you the power to quickly and easily cost freight for any transport company, using any rating system, to anywhere in the world. 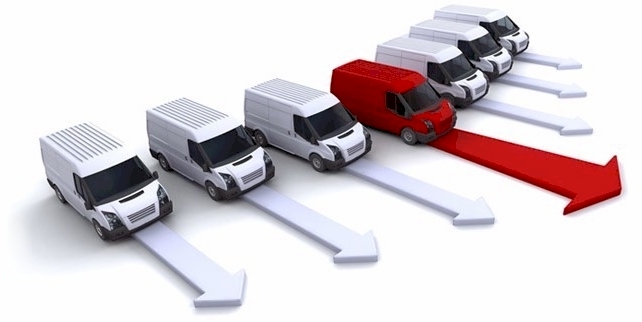 Simply upload your freight carrier rates and start comparing costs. Streamline data entry with data entry screens that are designed to be customised at installation to meet your processing needs. 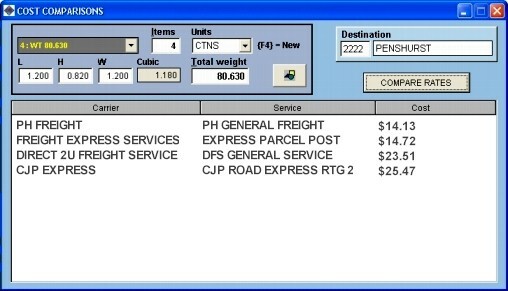 Create different screens for each type of freight processing used by your company. The system tracks how a transaction was originally entered. Reports may also be customised. Graphing templates offer an alternative method of reporting. Components are included to building interfaces for: mailrooms, mail houses, dispatch docks & freight forwarders. Whirlpool can be used to send booking requests via the internet to LABERG's Transport Management System (Titan) module or any other company who offers web interfaces. Transaction data and pickup requests may be transferred in this way and then processed by the Titan module. Automated electronic transfers can take care of the internal transfer of freight information throughout your organization. Using your intranet, the status of bookings becomes available throughout your organization. We provide a web-based track and trace screen that allows people within your company to easily query the status of consignment, reducing the number of queries your transport department has to process. Because our system is communicating with your providers, one interface will provide track and trace regardless of which company is moving the goods.